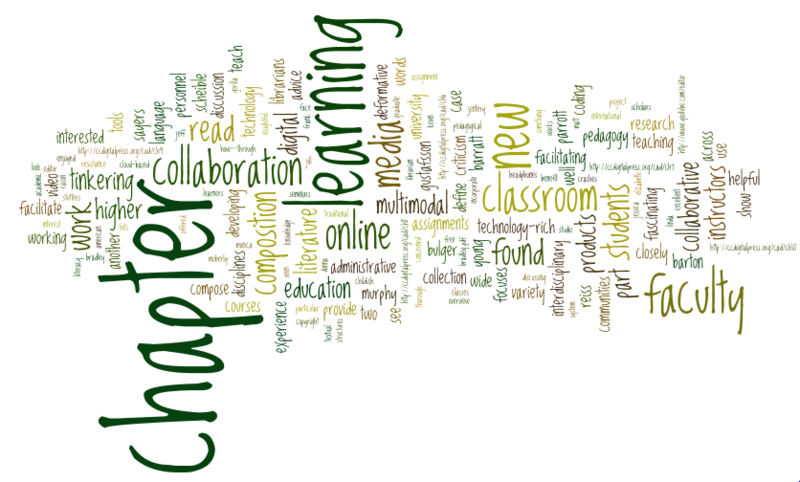 Chapter 6 (“Across Disciplines: Establishing a New Media Program”) by Matt Barton and Kevin Moberly provides a cautionary tale to those creating new technology-rich learning spaces by discussing the struggles seen at a center for new media studies at St. Cloud University. They begin by providing an overview of the American higher education system to demonstrate the challenges of collaborative work scholars face today, and while technology and theory are facilitating and examining interdisciplinary approaches, the underlying rituals of higher education can cause incredible resistance. The chapter's candid discussion of the way we define “new media” and disciplinary structures would be very helpful to faculty and graduate students interested in working across disciplines as well as those developing new media programs. For excellent advice on facilitating online collaboration as part of a classroom learning experience, read Chapter 7 (“From Local Seminars to International Teaching and Learning Exchanges: The Cross-Cultural Collaboration Project”) by Magnus Gustafsson, Donna Reiss, Art Young, and Linda Bradley. 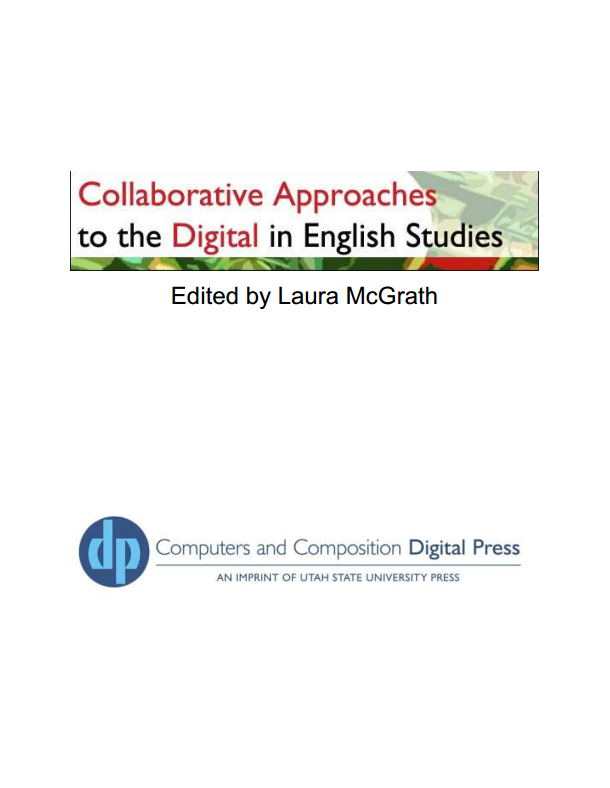 While the chapter focuses on literature classes, the frank discussion of what works and does not work in online collaboration will be refreshing and insightful to instructors across the disciplines. This chapter uses clear and practical advice from experience to show that online communities can do more than merely facilitate learning; online communities can actually enhance learning. Faculty and administrative personnel interested in online learning and student collaboration should read this chapter. As someone who enjoyed working closely with librarians during my tenure at the Noel Studio for Academic Creativity at Eastern Kentucky University (where two of the chapter authors now teach), I found Chapter 8 (“The Polyphonic Classroom: A Collaborative Pedagogical Approach to Information Literacy and Digital Composition”) by Caroline Cason Barratt, Jill M. Parrott, and Erin Presley to be an accurate, thorough, and helpful example of how to utilize the skills of a variety of instructors to facilitate classroom learning. 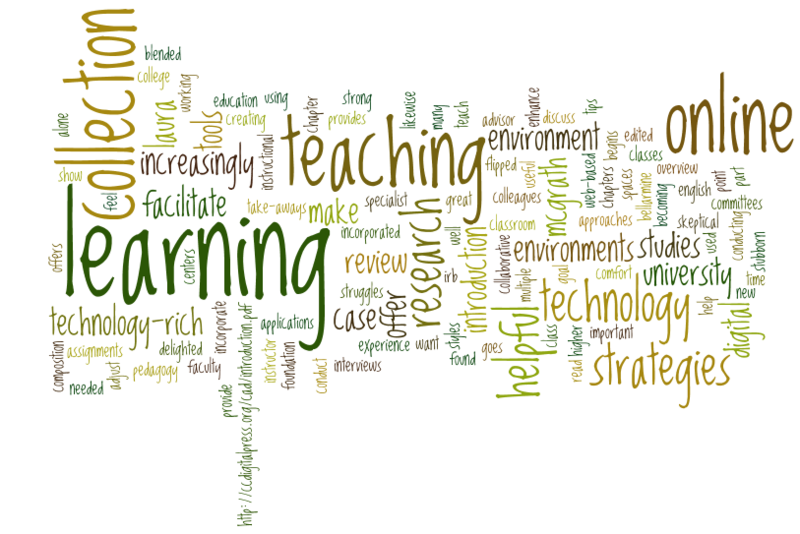 They argue for and show how--through their case study--courses can incorporate the collaboration of faculty to provide a rich learning environment to students utilizing technology. In their case, they used iMovie and Movie Maker (one could also use YouTube’s Video Editor) to articulate a point supported by research (facilitated by a librarian). What I found most fascinating was how this chapter discussed the grading process, with one instructor more comfortable with the subject matter, another with video editing (and HTML coding), and another with research strategies and copyright (a major concern for instructors who assign multimodal compositions). This chapter is a must-read for faculty and support staff looking to distribute skill learning and instruction in the classroom, as well as for librarians who would like to work closely with like-minded instructors. Two words define Chapter 9: deformative criticism. While I could provide a definition of the terms here, I’d rather you read the chapter to see how it applies to a class assignment (“Interdisciplinary Knowledge Work: Digital Textual Analysis Tools and Their Collaborative Affordances; Response: “So What?” New Tools and New Humanities Paradigms” by Monica Bulger, Jessica Murphy, Jeff Scheible, Elizabeth Lagresa, and Alan Liu). I also found the Toy Chest offered as part of the chapter to be a very informative collection of free, cloud-based software that students can use to compose a wide variety of multimodal composition products. While this chapter could benefit a wide range of faculty and administrative personnel, it would be of particular interest to faculty wanting to see the products that students can compose if they are allowed to venture off the traditional five to ten page paper and explore digital media. The final chapter in this collection (“Tinker-Centric Pedagogy in Literature and Language Classrooms”) by Jentery Sayers elevates what appears to be childish activity, or “tinkering,” and demonstrates how useful this concept can be to higher education pedagogy. While Sayers focuses on literature and language courses, the fundamentals of tinkering can be applied to technology-rich centers and instructors concerned with low-stakes multimodal composition assignments. I really found the communal aspects of tinkering to be fascinating, as developing a community of learners is what I strive to do in the courses I lead. For no other reason, you should read this chapter if you are uncomfortable with failure, which is a natural result of experimentation. This chapter does a wonderful job explaining why we should embrace crashes, stutters, and coding errors in classroom composition products.